Many times we are asked what the competition is like at the Senior Olympics. Sometimes we hear apprehension in the voice of a newcomer or that a newcomer may not “feel ready”. The beautiful thing about the Senior Olympics is that it offers a healthy competition for individuals of all skill levels. A beginner will have the chance to reawaken or try new skills and set a baseline in terms of fitness. A seasoned athlete can sharpen skills and strive to best prior personal performances. 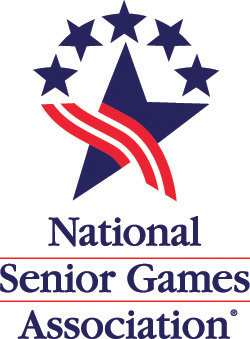 What is unique about the Senior Olympics is the warmth and acceptance that you will discover among all competitors, staff, and volunteers. You will often find that a national level athlete will cross a finish line and then turn and cheer as every athlete finishes. Our mission in providing this program is to give you a goal so that you will train year long and stay fit and healthy. Please join us!